Milo is named after the legendary Milo athlete from Crotona, Italy (600 BC), famous for its miraculous powers and six times Olympic champion. Nestle Milo was researched and produced by Thomas Mayne for the first time at the Royal Easter Show in New South Wales, Australia in March 1934. Since then, Milo product is Milo Active Go Milk Calcium Plus 240ML. It has been present in more than 40 countries around the world. “Milo is chocolate and malt powder that is mixed with hot water and milk to produce a beverage popular mainly in Oceania, South America, South-east Asia and certain parts of Africa. It is market and sold in many countries. 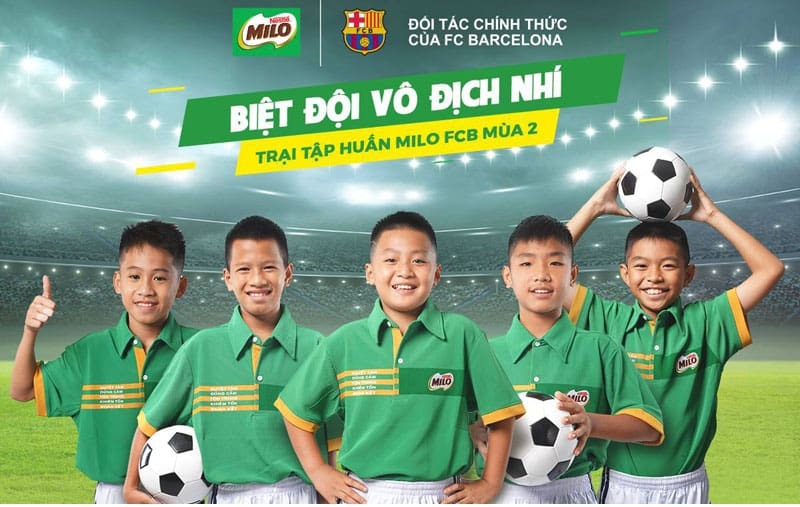 Milo first appeared in Vietnam. In 1994, Milo powder for children was imported and distributed in Vietnam. After 4 years of operation, Nestlé officially inaugurated Milo powder factory in Dong Nai to meet the increasing demand and taste of Vietnamese consumers. 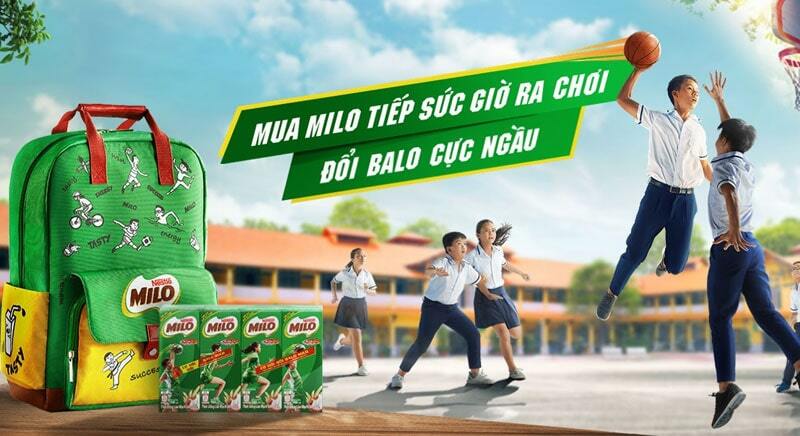 Nestle Milo has been in the Vietnam market for more than 20 years and is a prestigious brand, leading the quality and market share in the cocoa beverage sector for children from 6- 12 years old. Nestle Milo barley is a perfect combination of unique cocoa flavors and rich source of protein and dairy nutrients, whole wheat bran and vitamins and minerals. Full of benefits from milk, Nestle Milo with Activ-Go extract is Milo Active Go Milk Calcium Plus 240ML. Outreach is a unique combination of Protomalt extracted specifically from barley germ and a combination of essential vitamins and minerals, contributing It plays an important role in energy release, strengthening muscular and skeletal functions, and actively supports the physical and mental activities of children. Drink Nestlé Milo Active Go Milk Calcium Plus reach out every morning to provide energy and nutrients to help your baby achieve the best results every day. Nestle Milo should be usage on a daily basis, especially in the morning. When your child enters school age. Because it contains the Activ-Go reinforcement – develope and research by Nestlé Switzerland. Durable for children’s learning and advocacy activities. How to make children learn well is always a concern of parents. In addition to helping children explore the joys and delights of learning. A nutritious diet for children is also an important factor. According to nutrition experts, the brain consumes nearly 20% of energy body weight per day. Many children learn to easily lead to cramp, difficult to absorb the notebook and tire. To empower your child to learn more effectively. They can supplement energy with a healthy diet. Supplement with a number of foods that support child’s learning. Drink 3 boxes of milo milk each day. This provides enough nutrients for children every day. School-age children ages 6 to 12 need healthy foods and nutritious snacks. There is need for an after school athletic program. At the elementary level to augment the physical education program and provide a safe, healthy environment for lower income children as well. Because the physical education program is extremely vital and deserving of more attention. Infants and younger kids require a lot more supervision and nurturing. The more a child can handle these details for themself the more confident. They will be more comfortable in school day. Milo more than 20 years in Vietnam. Milo is committee to working with parents to care for their children to discover their potential. For a child to succeed, not only academic achievement but the values ​​and skills of life are inevitable. Perseverance, independence, adaptability, solidarity, discipline, and golden moments. When children are honore as a champion can not just come from the pages. Participating in sports activities will accumulate all these skills. Helping children play and study each day, boosting their personal potential and, more importantly, moving Vietnam further. Milo has built many movements of active lifestyle through sport. So give children the chance to be motivate and become small champions every day. With positive effects from sports. Milo has supported Vietnamese parents to raise their children in a comprehensive way, ready for future successes.